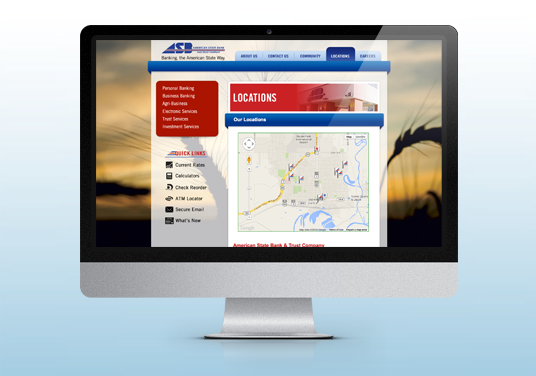 American State Bank & Trust Company is Williston's only locally owned community bank, focused on partnering with customers to achieve their financial goals. 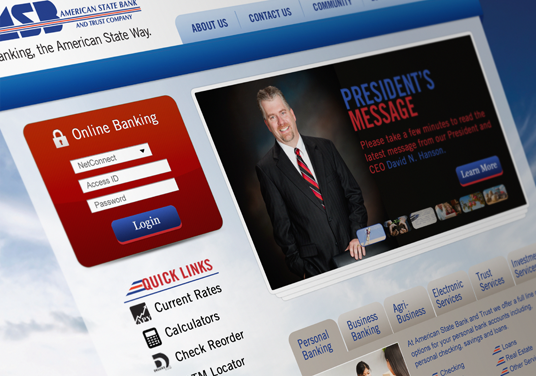 Dawa teamed up with American State Bank to redesign their website to give them a fresh new look, that made it easier for customers to navigate and find what they need. 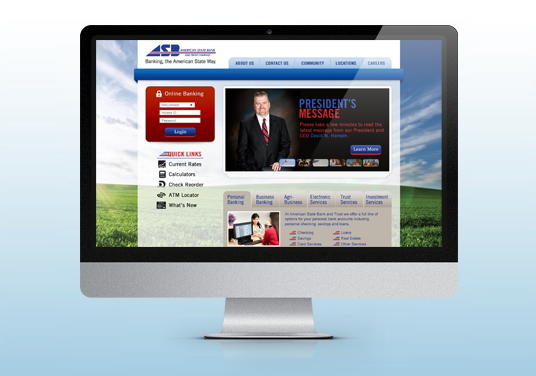 Some of the neat design elements we incorporated were stationery background images that can be updated each season, main images that can be updated to feature news, new products and services, and an interactive map with all the bank's locations.